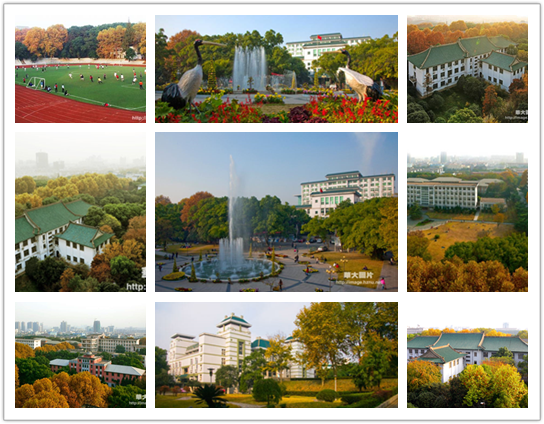 Founded in 1903, Huazhong (Central China) Normal University (CCNU) is a comprehensive and prestigious university on the list of “211 National Project” and "985 National Project". During asplendid legacy of over 100 years, CCNU has developed a profound historical tradition. The university consists of 21 colleges and 4 departments, offering 77 doctoral programs, 158 graduate programs and 52 undergraduate programs. CCNU offers the student a wide range of diverse disciplines to choose from, including Chinese Language and Literature, Philosophy, Law, Economics, Education, History, Natural Science, Engineering, Agriculture and Management, as well as special disciplines such as Fine arts, Music and Physical Education.The university has earned both national and international recognition for its first-rate humanity programs, superior natural science programs and extraordinary engineering programs. Currently, the full-time enrollment of CCNU has exceeded 23,000 students, among which 7,000 are postgraduates. Since 2001, the graduate employment rate has remained above 95%, ranking among the top in China. The university is one of the first institutions being authorized to enroll oversea students in China, and it is one of the few National Chinese Language Education Bases accredited by the State Council. At present, we have over 1,600 oversea students from 80 countries for long-term study or for pursuing degrees. The College of International Cultural Exchange (CICE) is responsible for enrollment, language instruction and administrative assistance to all the oversea students on campus. It offers an undergraduate program designed specifically for oversea students who wish to study Chinese language and culture. In addition, lectures by eminent scholars on Chinese history, culture, literature, music, calligraphy, fine arts, martial arts, and various activities like music performances, outings and sports competitions are also arranged regularly by CICE to ensure a harmonious and pleasant stay for oversea students. CICE also provides HSK seminars, English language courses and short-term classes or summer-tour programs tailored to fit the students’ request. An international community of friendship and understanding has become a unique spectacle in our campus, thus contributing to the welcoming multicultural atmosphere of the university.